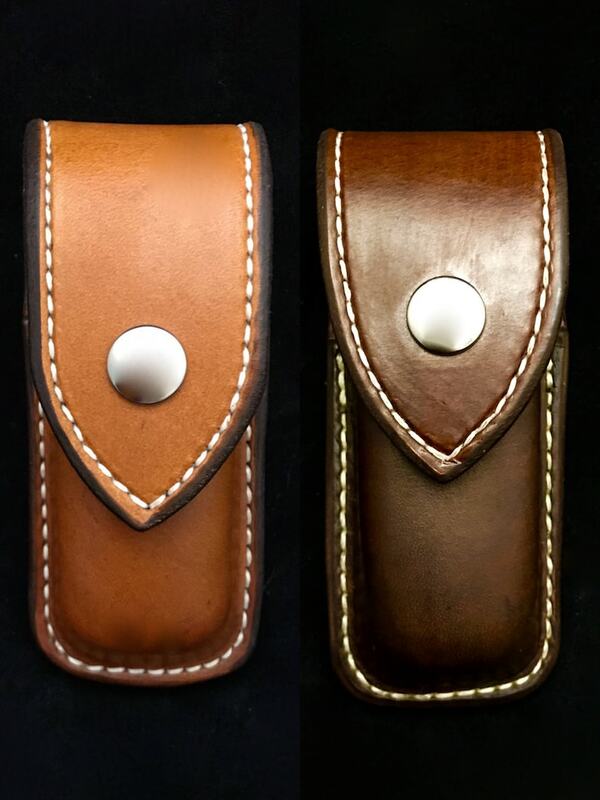 This product is a custom leather case/sheath for your favorite multi-tool! - Formed to fit the tool of your choice! - Doubled and stitched (sheath has lining)! This product is built to ensure that your multi-tool is secure in its case! Great quality sheath! Fits tool perfect! This is my 2nd sheath and im sure wont be my last. Thanks!!! Update 4-2-19: The shop immediately made a new sheath and sent it within a couple days. Very impressed with the new sheath, and the level of customer service. Thank you for making this right. The work is beautiful and if it fit the leatherman correctly it would have been the best possible case. However, even though I contacted the store prior to purchasing to make sure that they could fit the case to my Original Leatherman Tool, they still sent me a case that was about 2 times larger than the tool. So every time you move the tool rattles loudly inside the case. I was able to make some modifications including, adding a piece of leather inside the sheath, and adding a secondary button to tighten the flap up and hold the leatherman in place. Great quality, fast shipping & happy husband!